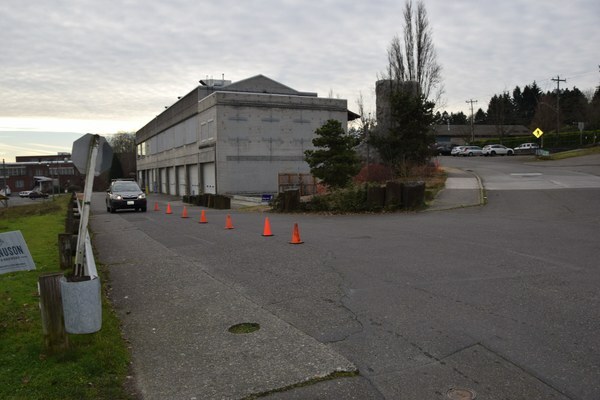 At our Seattle Program Center, large courses using the friction slab often spill out into the nearby busy streets. 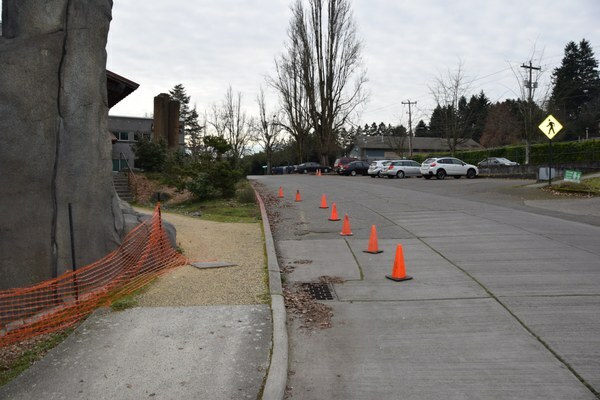 Climb leaders are strongly encouraged to place cones during use of the friction slabs or when participants are crossing the street. 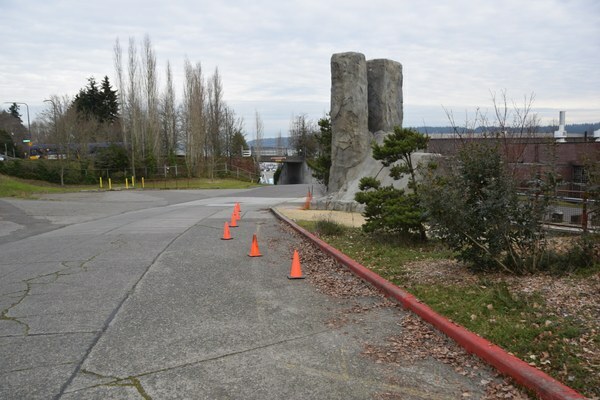 The North Plaza friction slabs at our Seattle Program Center have become a popular resource, and it's important we keep safety in mind during course instruction. We ask you, as leaders and participants, to be aware of large groups spilling out into nearby streets or frequently crossing the eastern roadway, as this creates the potential for a traffic accident. 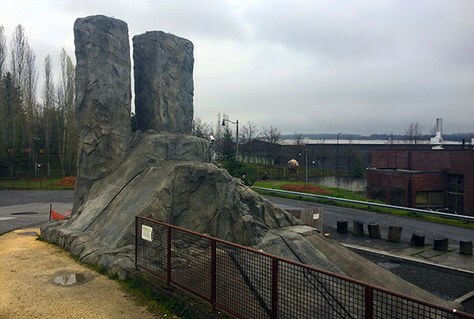 In the interest of safety for both slab users and drivers, climb leaders are strongly encouraged to place cones during use of the friction slab, or when participants are crossing the eastern roadway to practice glacier and climbing techniques on the grassy knoll across the street. 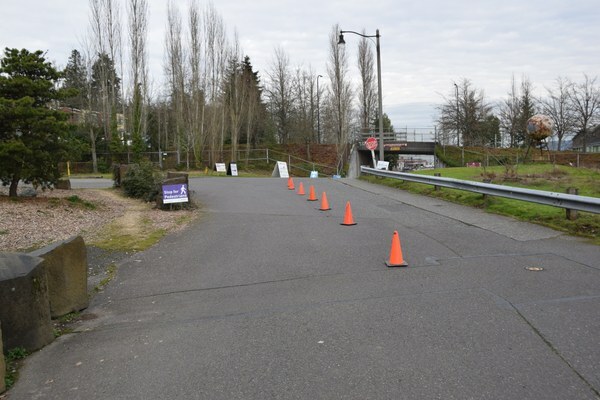 The following images are recommended examples of how to place traffic cones along the western and eastern roadways. Western road facing north. Traffic cones divert traffic away from the area and warn drivers of the nearby activity. Western road facing south. Traffic cones divert traffic away from the area and warn drivers of the nearby activity. Eastern road facing south. 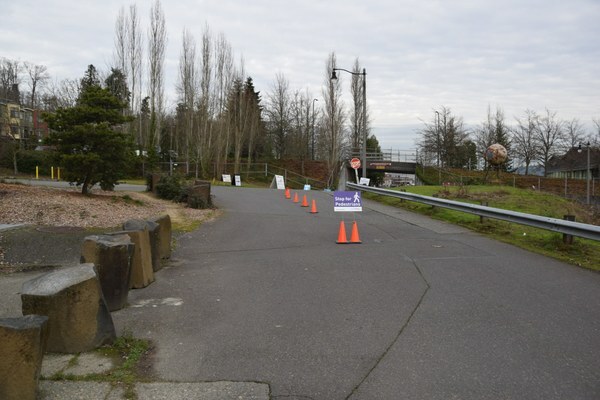 Traffic cones divide traffic to slow speeds and warn drivers. Eastern road facing north. Traffic cones divide traffic to slow speeds and warn drivers. Eastern road facing north. An alternate traffic warning with a warning sign. 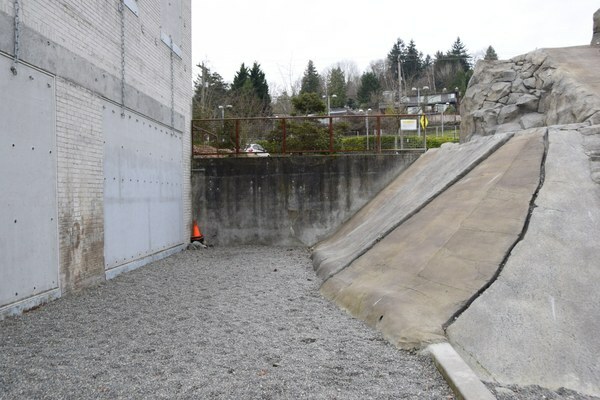 North Plaza friction slab cone location. Please email Garrett Arnold, our Mountaineers Rental and Events Manager, at garretta@mountaineers.org, or Jeff Patterson, our Seattle Safety Chair, at jeffreypatterson@comcast.net.